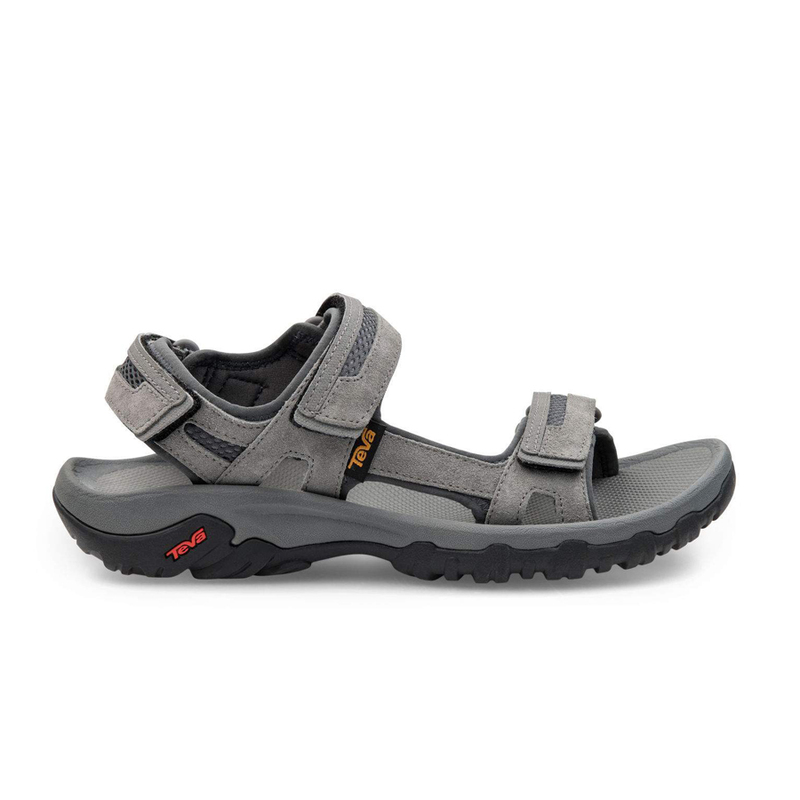 A go-anywhere sandal with the kind of rugged traction and foot-forming comfort to keep your feet cozy throughout the day. This sandal has a contoured EVA footbed with arch support and a nylon shank to ensure your foot stays stable, even on rugged terrain. Fully adjustable straps let you achieve a snug, close fit for comfort throughout the day. ​You don't want to bring a knife to a gunfight, but you also don't want to bring a gun to a pillow fight (that would just be weird). Teva’s Durabrasion Rubber gives you a solid balance of performance and durability without being overkill for everyday activities.